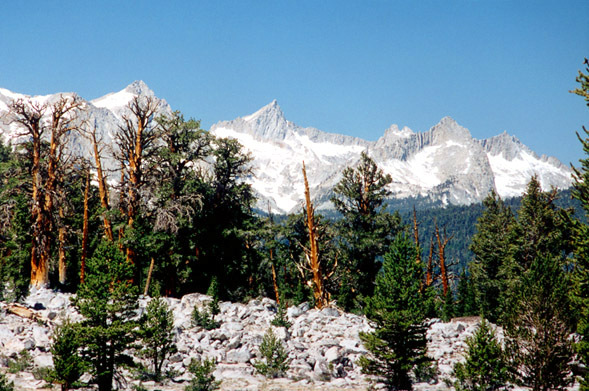 This is the view from the Pacific Crest Trail of the southern part of the Great Western Divide mountain range, which is one of the ranges in the overall Sierra Nevada Mountains. All of this land is but a part of Sequoia Park. There are no roads here, only trails. Happy hiking! !